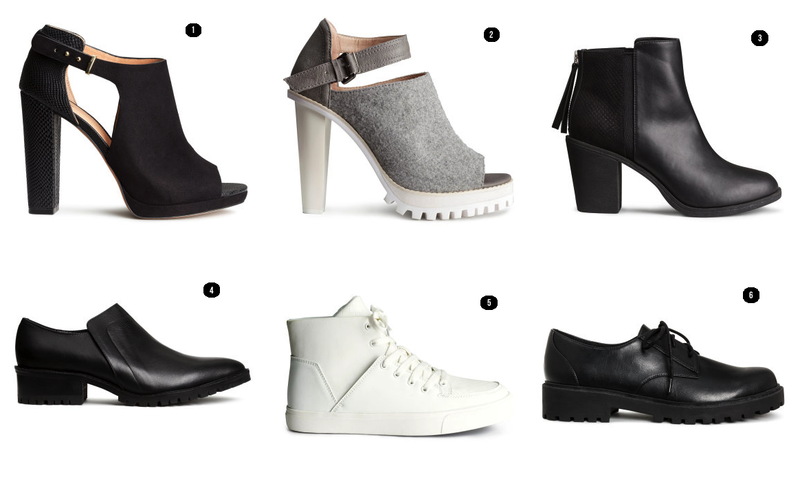 A little shoe lust never hurt anybody. I've been looking for some new shoes to purchase and found some awesome stuff on H&M's website. H&M's one of my favorite stores and I've been loving the stuff they've been coming out with, especially their shoes. Too bad I can't buy them all cause if I could, I would. Their heels are always comfortable, affordable, and chic and I'm all about comfy and chic - always. Especially since I only stand at 5"1 so any heel helps. Low to no heeled shoes are good too when you really couldn't be bothered or you're going to do lots of walking. I love all of these choices and I'm holding back on buying all of them. Someone help.